It's the day after The Game that Cannot Be Named. How can you channel this energy? With this Persuasive Techniques mini-project! Students analyze the techniques used in a commercial. 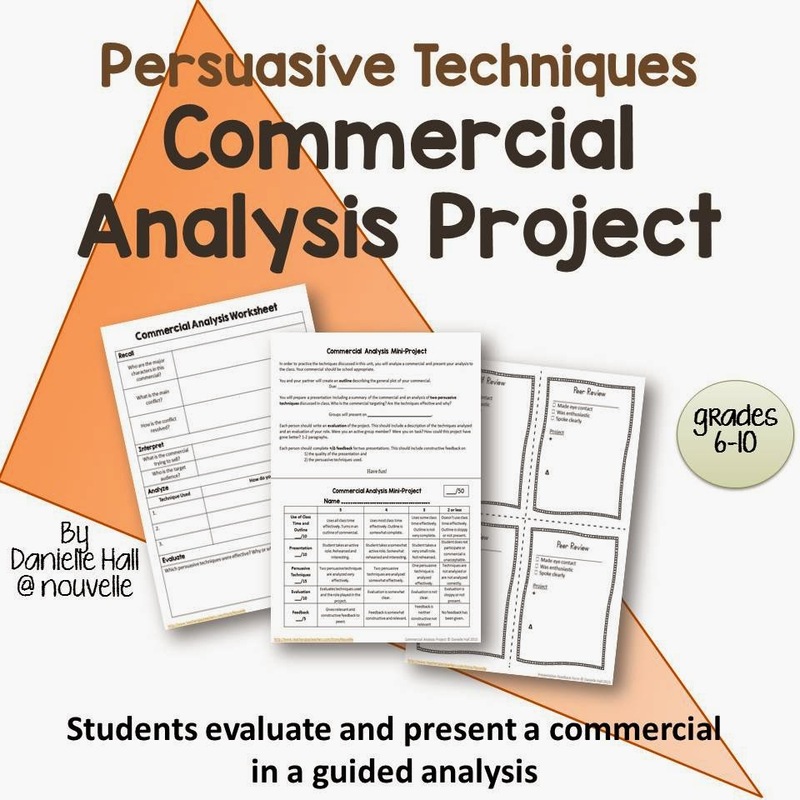 This assignment requires students (partners or threes) to complete an outline summarizing their commercial and identifying two techniques. Then, they prepare a presentation and analyze the commercial in front of the class. You can also have them show the commercials or not - up to you! Students complete individual evaluations and peer feedback. This assures that you can assess speaking and writing. Now, what about those kids that didn't watch the game? Well, YouTube will often put together a playlist of the "10 Best Commercials", etc. You can have students choose from these. You can take it one step further and *require* students to choose from a pre-screened list of commercials.